Stoic Week 2015 Day 7. Nature. For this seventh and final day of Stoic Week 2015 the theme is Nature. I find this topic the most open to interpretation within Stoicism; it’s a fairly vague term that means different things to different people. I have grown to accept it to mean everything. Nature is the universe, God, gods, Zeus, Allah or whatever label you have for that sort of thing. We are all one great cosmic thing. Interconnected. 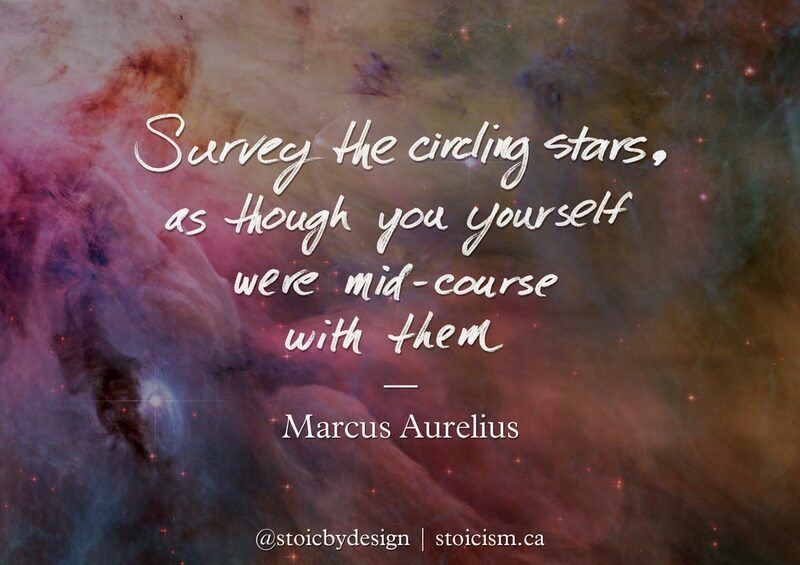 The view from above, or cosmic scale, is a meditation I have learned through Stoicism that resonates deeply with me. I haven’t found anything that roots me in the present moment and alters my perspective on “irritants” more than this. I’m also drawn to non-fiction books and documentaries on space and the universe, and have been a huge science fiction fan for as long as I can remember. It’s nice when entertainment, like watching a movie, can contribute to my practices. Share below in the comments how you interpret this quote and your thoughts on this form of meditation.